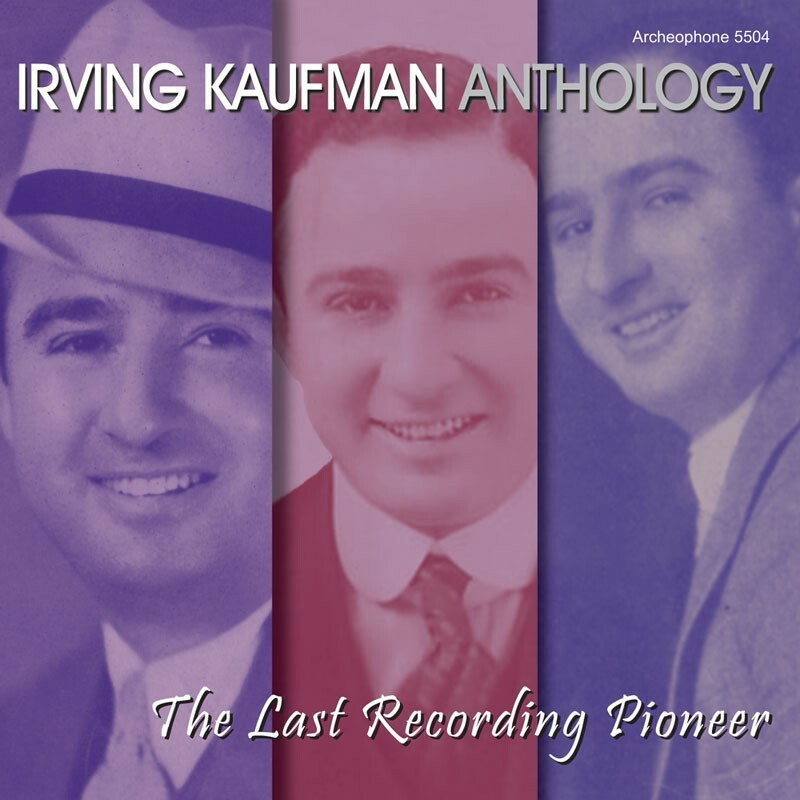 Irving Kaufman, Anthology: The Last Recording Pioneer represents Irving's incredible 60-year span of activity, beginning from his first acoustic recordings in 1914 to the final cuts made in his home in August 1974. The booklet includes several rare photographs, some contributed by Irving's family, and features detailed liner notes by Kaufman expert Ryan Barna, examining both the professional and personal life of this legendary performer. Visit Anthology's expanded catalogue page to see the complete track listing, read an extended description, and listen to sound samples.